As usual, I ordered a cake and then I decorated it myself. 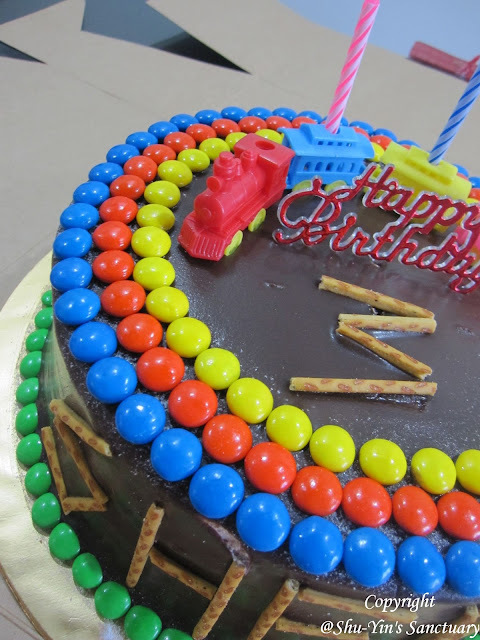 I did that to Shern's 1yo birthday and also 2yo birthday. 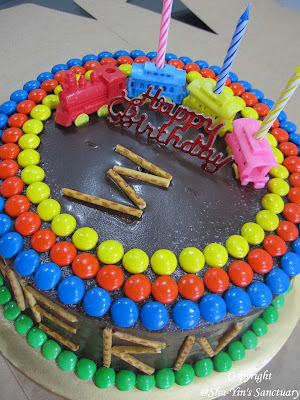 So for Shern's 3yo birthday party last Saturday, I did the same for the cake. 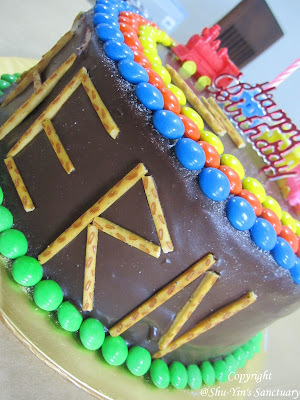 This cake is Chocolate Indulgence from Secret Recipe. 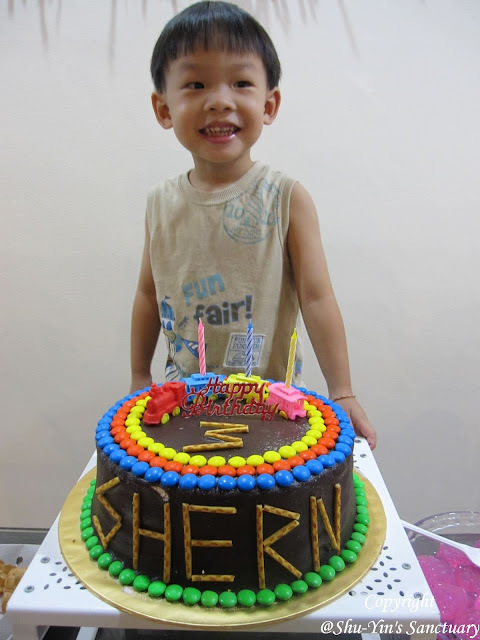 Shern is as much a chocolate lover as his mum, so a chocolate cake is the choice for his party. This time around, there is no specific party theme. 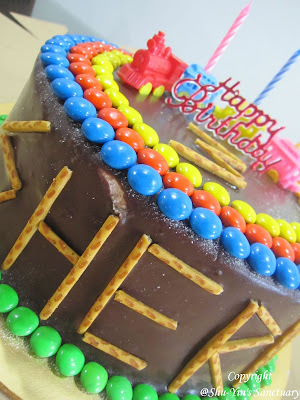 So I just used Shern's favourite M&Ms to make it a colourful cake. 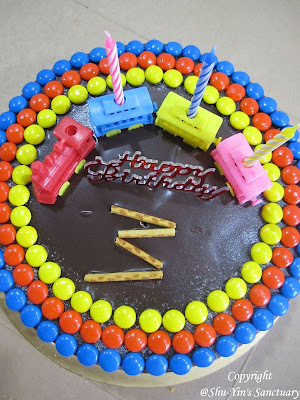 These train holder candles I grabbed it when I saw it at Melb, as Shern is still very into trains. 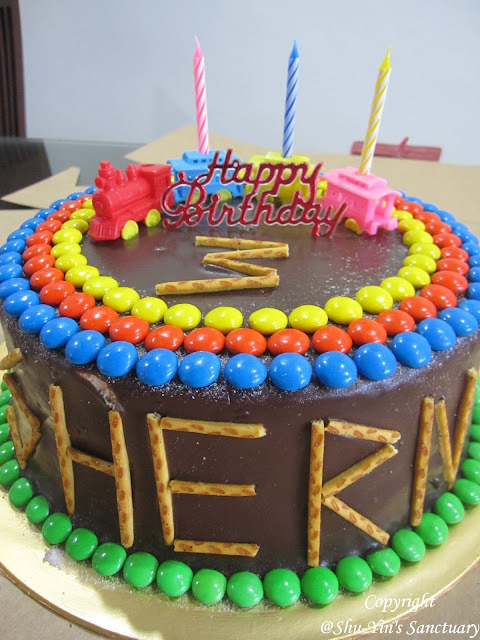 an awesome one-of-a-kind COLOURFUL 3rd Birthday Cake for Shern! I used Pretz sticks to form Shern's name at the side of the cake and also the number '3' on top of the cake. This is the top view of the cake.